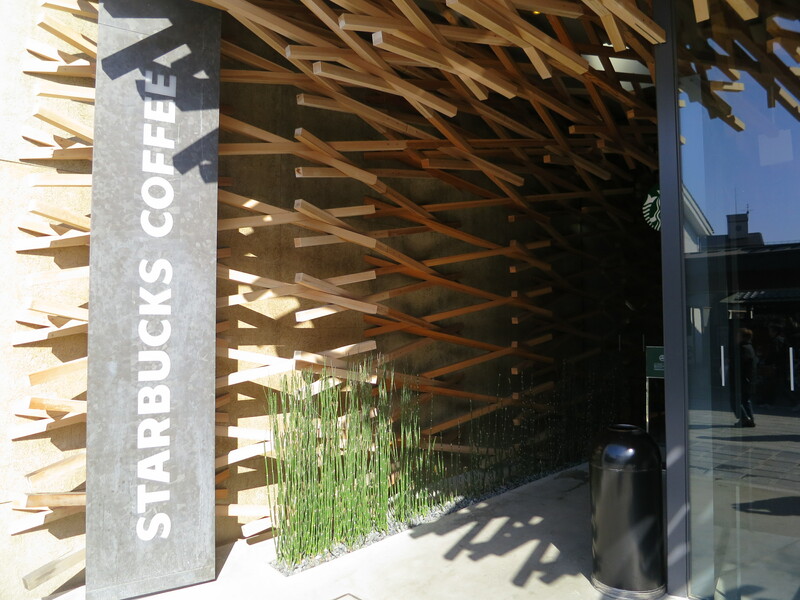 Have been a while uploading a new post. Life has been fast-forward in working on many things in a day. Tired, but I suppose when we are doing something we really like. We really enjoy it. And I finally understand the meaning of people enjoying their work. Went to Japan, Northern Kyushu with my mom few weeks ago. A trip between winter and cherry blossom spring of Japan. 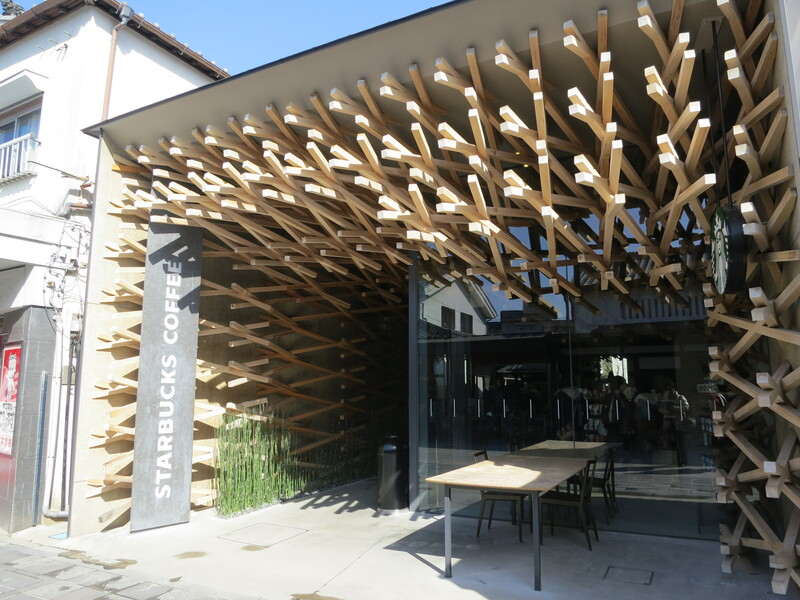 Upon our way to Dazaifu Tenmangu, this wooden, down-to-earth designed caught our attention, and one of the tourist guy in our group told us it’s one of the Top 10 Designed Starbucks in Japan. 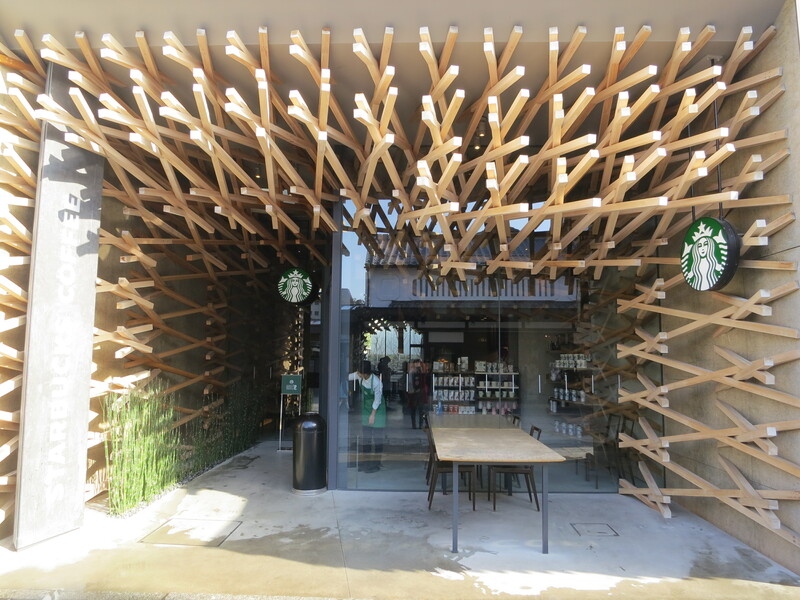 Renown Starbucks worked with Japanese Kengo Kuma’s Interior Design Company- Kengo Kuma and Associates, in creating this stylish site with cargo. Standing on main street of Dazaifu, Dazaifu Tenmangu, which is the main temple (there are many side and little ones, but this it the initial one) for people praying for education. 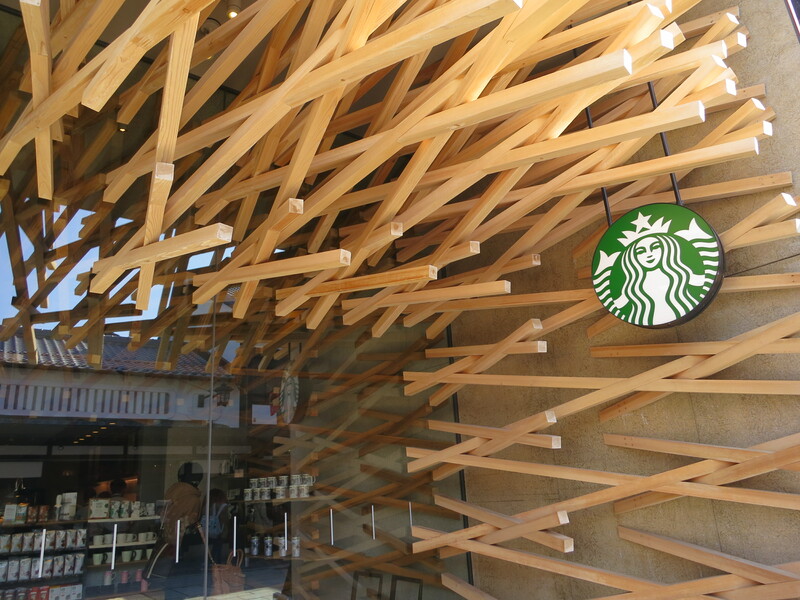 How to integrate a modern coffee shop into traditional Japanese street was a big task. 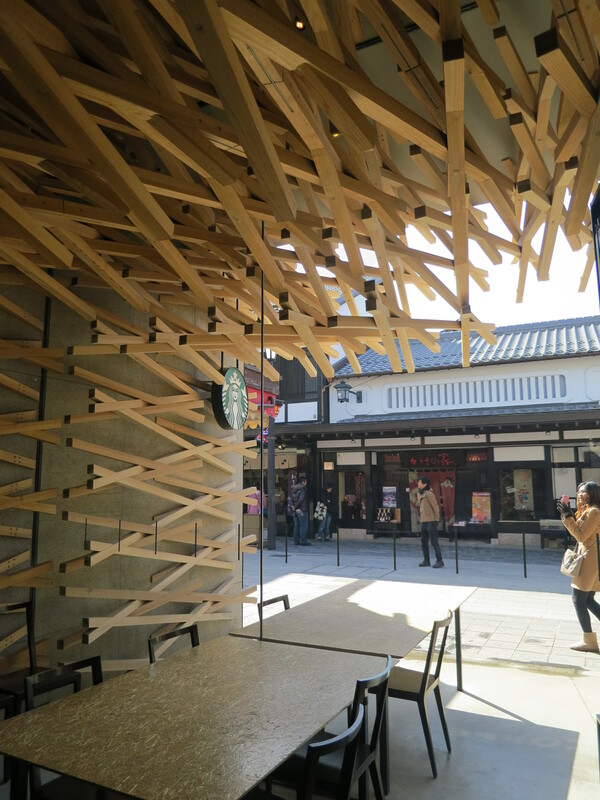 Choosing wood as the base for interior, the designer bring back old days with a modern stylish architect in using woods and bricks criss-crossing in creating a 3D penetrate effects with the ray shining in from outside. 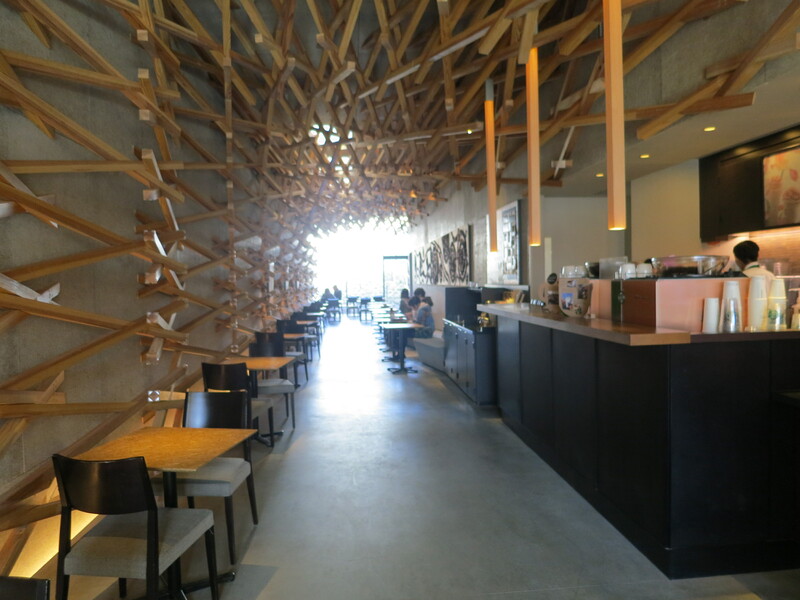 The extension of woods made the place look spacious for its ever longing end. A day where oriental Japan comes together with modern day? Have a coffee everyone!